We've got a client who recently upgraded their Windows Server 2008 Remote Desktop Services box from Office 2003 to Office 2010. In doing so, they ran up against Internet File Blocking which Office 2010 seems to take seriously, where Office 2003 ignored it. 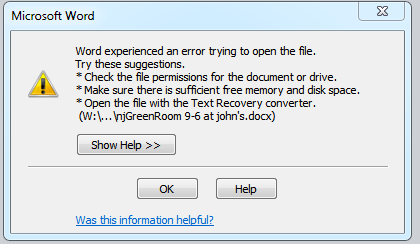 So, the question is how does one open these files in Office? But that can get tedious. 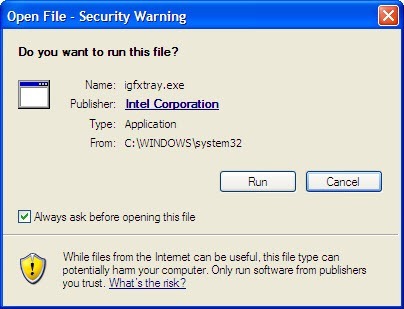 You can use SYSINTERNALS's streams.exe file to strip the ADS out of a bunch of files. Or, you can turn the behavior off, which is what we did for our client. A quick trip to the Google brought us to Dixin's Blog (which is where we cribbed the "file properties" screenshot from) and the steps are laid out very clearly there. In a nutshell, go to Group Policies and edit or create a policy to enable a single setting in User Configuration > Administrative Templates > Windows Components > Attachment Manager > Do Not Preserve Zone Information in File Attachments. Log off and log back on, and you're good to go. (We also forced the "Notify Antivirus Programs When Opening Attachments" setting, just to be on the safe side). Anyway, you should really just go read the article over at Dixin's Blog and read Understanding The Internet File Blocking and Unblocking, it's much better than this one. Lots of screenshots and explanatory text in an easy to read manner.